CO2 Smart is an Australian independent integrated EV fleet management services company for major electric vehicle fleet trial implementations, including major government department test programs. Currently CO2 Smart is the official trial manager for Australia’s first large scale electric vehicle trial The Western Australia EV Trial in Perth. The WA EV Trial consists of ten fleet electric vehicles over a two year time period. CO2 Smart is also championing the benefits of their Electric Vehicle Cooperation between Australian Governments (EVCAG) program which helps to coordinate the EV trials of several states so that maximum synergies and benefits can be achieved by the various trial participants. In addition CO2 Smart is also working with assorted Universities and research agencies so that domestic electric vehicle skills and related technologies can be obtained via hands-on technical and research experience during their various EV projects. 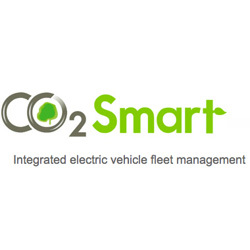 CO2 Smart is one of the first companies in Australia to enter into the Green Fleet market.